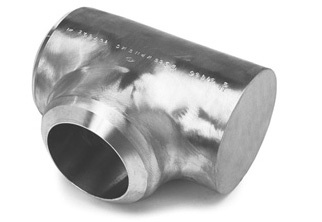 SEAMLESS TARGET TEE | WFI International, Inc.
﻿WFI designs and manufactures Seamless Tees to meet all ASME Code requirements including ASME Section I, Section III, Section VIII, ASME B31 Codes, ASME B16.9, WFI’s Tees are also broadly used in API and MSS applications. WFI Seamless Tees are ideal for high pressure process and refinery piping, subsea lines, topside manifold piping, subsea risers, steam lines and boiler piping. Our manufacturing process allows us to quickly make tees with heavy walls, tees with non standard reductions, and tees in hard to find material grades. WFI also manufactures true “Seamless” Barred and Target/Cushion tees. WFI Seamless Barred Tees have integral bars that are not welded into the branch. These are ideal for subsea corrosion resistant alloy tees where welding may affect material properties in heat affected zones. WFI Seamless Target/Cushion Tees are forged with one end of the run solid. This provides a 90 degree flow path through one end of the run and out the branch. Target Tees are normally provided with center to end dimensions in accordance with ASME B16.9 dimensions for buttwelding tees for new piping installations. They can also be manufactured with center to end dimensions equal to those required for buttweld elbows to replace elbows in existing piping systems. Target tees are broadly used for erosive flow conditions such as those found in topside or subsea manifolds in offshore oil and gas production. WFI Tees are available in Carbon Steel, Low Temp, High Yield, Chrome Moly, Stainless, 6 Moly, Duplex, Super Duplex, Nickel, NickelAlloys, Nickel Copper and Copper Nickel.